We are one of the top schools in Gurgaon focused on instilling in all our children, creativity, collaboration, inquisitiveness and personal integrity in a combination that fosters success for all the students and staff of the school. 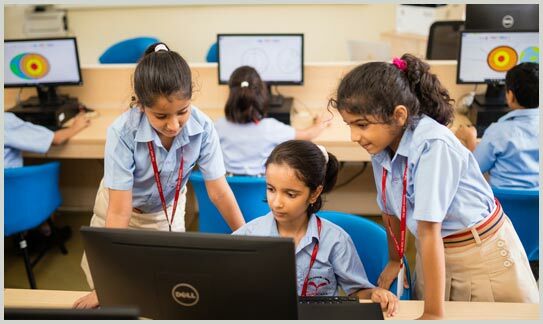 Unlike other CBSE schools in Gurgaon, our curriculum and subjects don’t exist in isolation, nor does our learning. This is because we integrate numerous activities such as field-trips, movies, workshops, projects, meetings with authors and experts from different fields into our academic framework. Moreover, our competent, experienced and progressive educators assist and guide your child in their learning journey and help them explore the world within and outside. Like the other top CBSE Schools in Gurgaon, we too focus on academic excellence. But we take it a step further by allowing the students learn critically & evaluate, analyze and express themselves. We place an emphasis on learning by asking questions, solving problems and through application. Our curriculum includes programs that develop scholastic and broader skills that complement each other. This ensures your child is moulded into not just a bright student, but also a responsible, young 'global citizen' ready to embrace future challenges with confidence. Why The HDFC School Gurgaon is the school for your child! 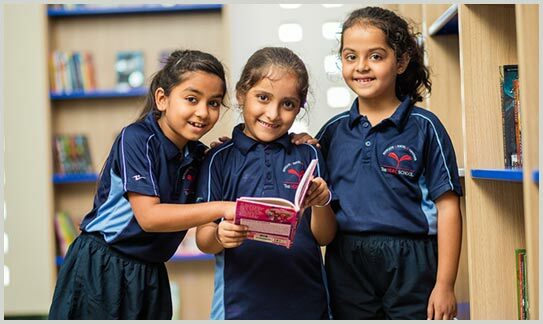 Where most other schools in Gurgaon focus only on academic excellence, we at The HDFC School focus on nurturing a new generation of thinkers who are confident, inventive and well-balanced. This is evident in our teaching- learning process which is based on exploration, inquiry and expression. 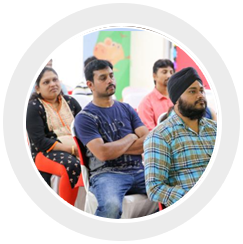 Our facilitators use hands-on experiences to enable the students learn new and advanced concepts, thereby deepening their overall understanding. Our curriculum also integrates project-based learning to enhance your child’s critical thinking and collaborative skills. We also give students exposure to things like Visual Arts, Theatre, Performing Arts, Pottery, an Engineering Lab, Debate, Declamation and Creative Writing, creating a unique co-scholastic curriculum. We are also one of the few schools in Gurgaon that involves our students in community welfare activities right from a young age and as they graduate to higher classes, we gradually expose them to more impactful and real social issues. This helps us mold your child into a young citizen of the world who is able contribute to society in positive manner. "My journey with ‘The HDFC School’ commenced almost a little more than a month ago in July, 2018 when my two children joined the school. It may sound a bit cliché if I say that my children have gained confidence right there in the first month itself. I moved my children to a curriculum which they never experienced before. I was somewhat apprehensive when they started their new journey, was not sure whether they will continue for even another month as they were much settled in their earlier School. I must commend the efforts put in by the School – be it the delivery of the humungous curriculum for a variety of subjects or co-scholastics, sports etc. Extra classes for the gifted students inculcates confidence even in us as parents that our kids are going in the right direction." How is The HDFC school different from the other CBSE schools in Gurgaon? 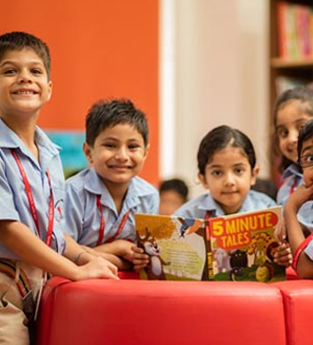 Unlike other schools in Gurgaon, The HDFC School, Gurgaon follows an experiential, inquisitive, yet structured approach to learning with focus on family, culture and language. The school focuses on developing analytical minds striking a balance between the intelligence and emotional quotients of children. Here, children are encouraged to explore the environment around them, through projects that best integrate art, craft, technology, music and dance. Besides, the activities are designed to develop each child's Fine Motor Skills and encourage Sensory Development. These are the differentiating factors vis-vis other CBSE schools around. What is the class strength & how do you ensure each child gets the right attention? The Pre-Primary classes have a maximum class strength of 15 children while Primary and Senior classes have a maximum of 25. This is the perfect class strength and is followed by many of the best CBSE schools in Gurgaon; it ensures that each child gets the desired focus and attention. When can I visit The HDFC School - Gurgaon & see the facilities? Visiting the schools in Gurgaon is an important step before finalizing on the perfect school for your child. We understand this and that's why The HDFC School, Gurgaon's Core Team always looks forward welcoming & meeting parents. This provides an opportunity to get acquainted with our school and make an informed decision about the best future of your child. Please feel free to visit the school and also fix up a meeting with the Principal to know more about the pedagogy and curriculum. Timings to visit the School: Monday to Saturday, 8:30 am to 3:00 pm. The team will be happy to take parents on a school tour, helping them see and know more about the facilities. Days and Timings for meeting the Education Leader on prior appointment: Monday to Saturday from 9:30 am to 12:30 pm.